and by the way Doug Chaplin is writing again - worth the effort to read. In this series, I am considering strategies for memorizing all the psalms of the Hebrew Psalter. We have come to a series of 10 psalms each of which is marked as 'of David'. הַאֻמְנָם אֵלֶם צֶדֶק תְּדַבֵּרוּן 58:2 Is it truly a dumb righteousness that you speak? We have reached the remaining miktamim and the psalms with the inscription 'do not destroy'. Psalm 56 is the first of a group of 5 miktamim, reminding us of this form first encountered in Psalm 16. Psalm 57 is the first of three consecutive psalms inscribed Do Not Destroy. The fourth is Psalm 75. The second part of Psalm 57 reappears in Psalm 108. These psalms are considered so violent that Psalm 58 was omitted (deliberately along with several verses in Psalms 109 and 37) from the Canadian Anglican prayer book of 1958. Psalm 58 closes with the earthling recognizing the judgment of God in the earth. Psalm 59, the third inscribed with Do Not Destroy, closes with the knowledge of those who are consumed that God governs in Jacob. Psalm 60, the last miktam, is a prayer for the rescue of the beloved. Its second half reappears in Psalm 108 also. Psalm 61 contains the appeal to the rock that is higher. Vows surround the promise to the king. Psalm 62 reminds us of the language of Psalm 39. Both psalms are inscribed 'for Jeduthun'. Psalm 63 is a psalm of joy after so many psalms concerning enemies and futility. Psalm 64 is about planning and 'shooting' (the same word as Torah). The plans backfire. The evildoers become their defeat. Psalm 65 is the first of three psalms on the subject of harvest. So far in Book 2 we have seen three names in the inscriptions: Korah, Asaph, David. Next, we come to two psalms with no name in the inscription, followed by psalms of David, Asaph, and Korah. That looks like a circular structure. When one finds a circular structure, one should look for for what the circles surround. In this case it is Psalms 66 and 67, whose subject is anticipated by Psalm 65. Here is one of the changes: St John the Divine will have a new rector after 2 or is it 3 years of interim appointments - read this story from Alastair McCollum on leaving England for Canada here. Others... St Barnabas is looking for a new organist and choir director. This is a demanding position in the Anglican High Church tradition. And for us old folks, Di and Bob (that's me) are expecting their first grandchild - as most of you will know. Bob is looking forward to more continuous holidays - also called 'book tours'. Di also enjoys them and is expert at the requirements for planning. The latest happens in just 2 days when we will fly to England to present at the Open University in London. Then we spend a week in Cambridge, and following that a 17 day tour of Scotland - ending in St Andrew's where Bob will try and become as one who learns in that spot for a second time, the first being in 2006 when the book project was conceived. In the meanwhile, this blog has some scheduled posts - but will likely go on holiday itself for the next month. While browsing Susan Gillingham's book on the Psalms through the Centuries for the Psalms of Yared (of the Ethiopian tradition), another strategy for memorization came to me - name a favorite verse for each psalm. I am quite sure that my old memory, fading as it does, does not recall a single verse from every psalm. I could just do it - but what if we made it a game? Is anyone for playing? If so please leave a comment - the rule is one verse only from any one psalm. Don't do all 150 - that's work. But for instance - which verse of the psalms just appears in your mind? Do that one. I will begin - just one verse from one psalm - O dear - that is difficult - but the verses in my mind right now are from the penitential Psalm 51. Have mercy upon me, O Lord God, after thy great goodness, according to the multitude of thy mercies do away mine offences. That's it - that's all the game requires - will y'all help? I wonder which translation that is? Maybe I am remembering it from Gregorio Allegri's Miserere in an English version. Perhaps too I am recalling the Byrd setting. It was in fact, Coverdale except it is in the Elohist Psalter and is O God not O Lord (as I had first written). In your great tenderness, wipe away my faults. Note there is a missing silluq under the word רַֽ֝חֲמֶ֗יךָ in online Hebrew copies. This significantly fails in the music. The ornament on the second note of the scale requires resolution to the tonic rather than the second. I have gone farther than the game requires - but I was curious. You will notice some significant differences in the glosses chosen. We are so influenced by the Latin history. The Hebrew appeals to covenant mercy in the third word. I have not used the sound 'mercy' for חָנֵּ֣נִי but rather gracious, or supplicate. Similarly I have avoided the sound 'mercy' with respect to רַֽ֝חֲמֶ֗יךָ a word suggestive of the womb. Tenderness is good. I don't much like 'goodness' though in JB or Coverdale. 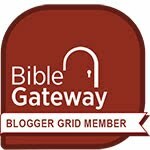 In this series, I am considering strategies for memorizing all the psalms of the Hebrew Psalter. Of course these strategies have to be combined. Others include singing, circling and drawing the structures, and so on. This post brings us to psalm 50, 1/3 of the way through numerically - and it's not a bad dividing point. Psalm 50 is a universal call from (you guessed it). Psalm 50 (Asaph) bears an uncanny relationship to Romans 1 and 2. Paul may well have taken the structure of his argument from this psalm. Or one could think that the mind of the apostle was informed by the same spirit as the mind of the elect poet. Psalm 51 (David) reveals the murderer and the adulterer in the chosen king David. Psalm 52 critiques the lowly Doeg, as David's enemy, but considers the dangers of the tongue. Psalm 53 is the Elohist double of Psalm 14. Psalm 54 considers the Zipites as David's enemy. Psalm 55, recalled in the music of Felix Mendelssohn, then requests help from a host of enemies including the most intimate. Here is the May 2013 carnival at Jeff Carter's blog. I note at the beginning that I haven't been following Experimental Theology for a while - but Richard Beck's take on Joshua as a record of failure is a good one and his conclusion that the problem is in the heart of Israel fits well with my analysis of the Psalter. The enemy is us as Pogo told us long ago. The 'other' is incidental to our own inner wrath. Was such a twist a necessary part of the bootstrap code for life?